Interested in working at an innovative company in the process technology industry? For 80 years, Fitzpatrick has provided a stimulating work environment where its employees achieve success. If your experience and skills are a good match, we would love to hear from you. Being part of the IDEX company affords wider opportunities for our staff. 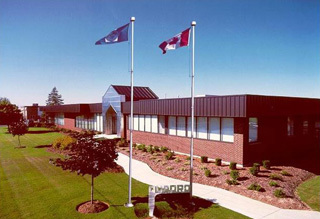 In 2011, Fitzpatrick joined the Material Processing Technologies division with the IDEX Corporation. In order to be the world's best engineered solutions company the IDEX Corporation is focusing on building great global teams. If you are looking for an outstanding place to develop and grow then Fitzpatrick or the wider IDEX Corporation may be the place for you. 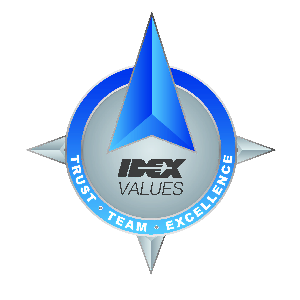 The IDEX Values of trust, team and excellence shape what we do every day. Our values are something more than just words, they are part of what we all do each and every day. We look for those who embrace the importance of teamwork and foster a culture of inclusion and diversity. We believe that helping our employees learn, develop and grow their careers is essential to the success of all the IDEX businesses. Therefore we work hard to create an environment where each employee is enabled to do and be their best every day. If you share these values then why not give us a call.